The drought conditions have left the rangelands of the North Coast dry, dry, dry. 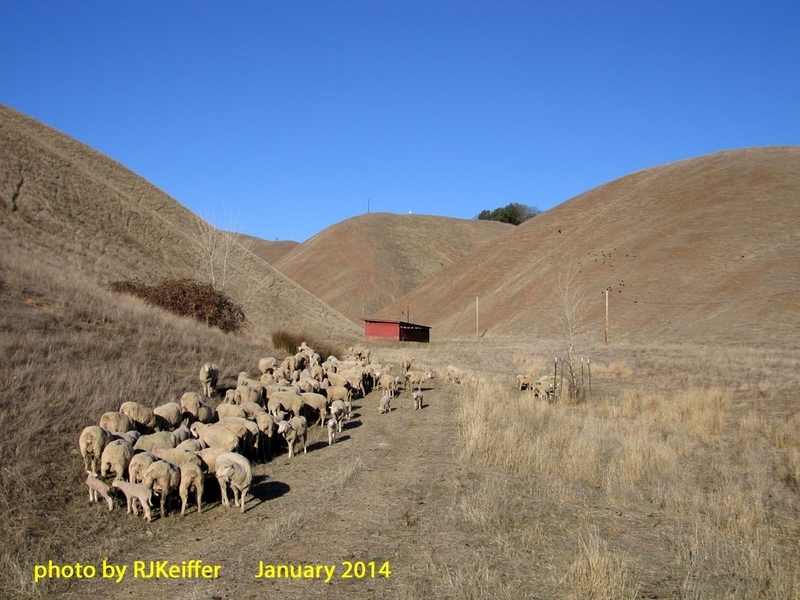 In order to maintain the UC Hopland Research & Extension Center's sheep flock during this time of duress the Center has purchased supplemental feed. Such purchases have impacts upon our normal annual working budget ... but maintaining animal health is essential. Plans are underway for possibly reducing the flock size and selling lambs early. Here you see ewes with lambs munching down the spread supplemental pelleted feed.